Little man has been doing so much since the last time we checked in. School is in full swing and he absolutely loves it. He had his first ever field trip last week to a local farm and pumpkin patch. We picked pumpkins, gourds, and popcorn. I honestly didn’t know that you could pick popcorn, but you can and we did. AND it was delicious 😀 Little man has been working so hard on his coloring and writing since school started and he wanted to share that with you today in addition to our latest read. The teacher started the year teaching them basic lines, going up and down and sideways, making circles, etc. Then they moved to actual letters in September, learning the vowels first, and now they’ve moved onto consonants. They are now working on the letter F. It’s great fun because little man comes home and is pointing out everything that starts with F and he pretends he’s the teacher. I’ve been working with him some at home too and I love these worksheets from Better Handwriting for Kids. These worksheets are customizable and a lot of fun! For fans of Goodnight, Goodnight Construction Site and Cloudy with a Chance of Meatballs comes an action packed picture book with a sweet surprise. Call in the trucks! When a giant tomato breaks loose at the top of a hill, it takes every tractor, fire engine, and helicopter to stop it. 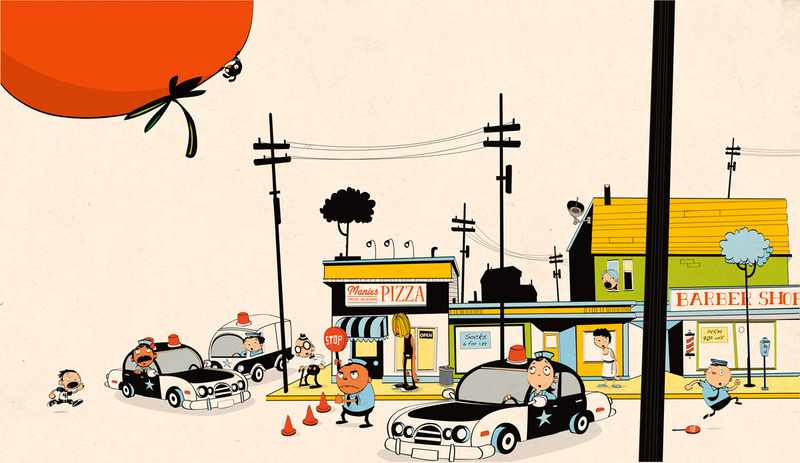 Lincoln Agnew's cool, vintage cartoon style is a perfect match for the high-octane action told in catchy rhyme, culminating in a jam-packed gate-fold spread of the town's Tomato Festival. What will happen when it rains on all those giant seeds? One giant surprise. Runaway Tomato by Kim Cooley Reeder is our Imagination Library read for this month and boy is it a fun read! This book follows the story of a tomato that has grown too large for its home. It then proceeds to roll away from the farm and the entire town chases it. With fun rhyming and simple sentences, this book is fun to read as a bedtime story or for those that are just starting to read on their own. The illustrations are beautiful and have a retro feel to them. Honestly they reminded me of books my mother had! Little man really enjoyed the book, pointing out all the people in the town, what they were doing and how were they ever going to stop the tomato. I highly recommend it for anyone looking for a new read! First-time author Kim Cooley Reeder thinks in stories. Most of her ideas come late at night when she should be sleeping, while driving across Oregon on long road trips and from things her children say. This particular story was created when her son asked for a bedtime story about a tomato. Kim has lots of experience with tomatoes, although she refused to eat them until her early twenties. The largest not-for-profit garden in her hometown (she's pretty sure this is accurate) was just past her backyard and owned by her parents. Kim and her siblings were conscripted to weed every morning before the sun came up. Maybe if she had paid more attention her current tomato-growing efforts would be more fruitful. Good thing she sells books and not tomatoes. Children’s Corner – I Won a What? Omg I love the little crossing guard using his stop sign. The writing is looking good! Kristina recently posted…A new addition to my Author idols!